HOW DID it come to this? The Labor government survives, but only as a minority. After a smashing election victory, two years of riding high in the polls and a long period of stratospheric approval ratings for Kevin Rudd, 2010 saw a slide in popularity, a leadership coup, the rush to an election, and a result much more disastrous than anyone foresaw. It is one of the most spectacular political collapses in Australian history. The decline dates back to well before the election: the unravelling of the politics of climate change and the government’s surrender on the issue; the failure to deliver on some key promises; the conflict over the mining tax; controversies over government waste and mismanagement; and – for whatever mix of reasons – an increasingly heavy focus in the media on the government’s problems to the exclusion of its achievements. Even taking all this into account, though, Labor did badly in the campaign. According to most polls it started ahead, but that lead evaporated to produce what was essentially a dead heat on election day. The process of shaping what becomes the accepted explanation for a political victory or defeat can be contentious. In this case, the much-predicted Labor bloodbath is unlikely to occur because all the key players are constrained by the need to maintain unity in the face of their parlous political situation. 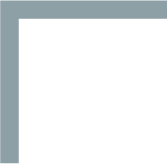 It is much more than an academic debate: the stakes include current career prospects – especially the influence of the NSW Right and, specifically, the future of national secretary Karl Bitar – and the assumptions that feed into planning for future campaigns. Immediately after the election, the Age reported, “a senior Labor source said national secretary Karl Bitar, who helped oust Mr Rudd, had been briefing party figures to use the ‘line’ that the defeat had been the result of leaks from the Rudd camp.” Moving pre-emptively, Bitar’s ally, former NSW power broker Graham Richardson was blaming the leaks even as voters began casting their ballots on election day. While this conveniently narrow explanation has a core of truth – the leaks were very damaging – it is ridiculously partial, ignoring the six central failures of Labor’s campaign. 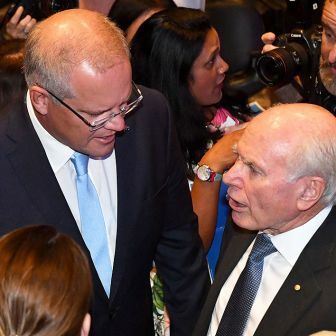 The plotters who managed to oust Kevin Rudd from the prime ministership no doubt prided themselves on the speed, efficiency and neatness of their coup. But they seem to have paid no attention to its aftermath. Did they imagine that from the moment of his defeat Kevin Rudd would become an irrelevance, that they could both publicly and privately demean his contribution and that the whole country would move forward as they wished, forgetting everything that had happened pre-Julia? Their assumption of mass amnesia, of instant public acceptance, would have been unrealistic in any situation, but the idea that calling an election would make everyone lose interest in Rudd was fanciful. Instead of Rudd disappearing, “every day it’s more about Kevin,” wrote the Australian’s Paul Kelly put it in the middle of the campaign. Of course, this was partly due to the leaks in week two, which were unprecedented in an election campaign and widely blamed on Rudd or his supporters. But there was also widespread media and public interest in how Rudd would behave, and it was only heightened by his enforced silence during his gall bladder operation. And, of course, the Liberals kept raising his spectre. Although we cannot make a causal link with certainty, it is notable that Labor’s biggest losses were in constituencies for which Rudd had a special appeal. The first and most obvious was Queensland. But there were other contributors to the result in that state, include the unpopularity of the Bligh government and the fact that the mining tax was particularly unpopular in Queensland (and in Western Australia). Perhaps the losses would have been as big with Rudd still leader. We can never know. The other group that might have held Rudd in special regard has not been much commented on and I do not know of quantitative data to support a link. But some observers, including Maxine McKew, think that Labor’s losses were particularly heavy in Asian communities. Rudd, a Mandarin speaker with a Chinese son-in-law, had appealed greatly to this group, and with their traditional respect for leaders they might have been particularly affronted by his overthrow. “Across the suburbs the worst booths for the Labor Party were frequently those suburbs with high migrant percentages, particularly Chinese, Korean and Vietnamese voters,” reported the Sydney Morning Herald’s Andrew Stephenson. Neil Lawrence, who masterminded the Kevin07 campaign but then fell out with the new national office of Karl Bitar, seemed to have a deeper grasp of the strategic needs than anyone still inside the Labor camp. He noted that the national mood, in contrast to 2007, was for stability, and after noting how many of the ads on both sides were negative, thought that the party with the more positive message would win. In all election campaigns parties have a mix of positive and negative – why you should vote for us and why you shouldn’t vote for them. But in 2010, the negatives predominated even more than usual. Abbott ran almost entirely on a list of the Labor negatives he would expunge, and Labor ran on the fear of Abbott – sending out the message that it had few positives to boast about. There is a conventional wisdom, in my view outdated, that debates are bad for incumbents and good for challengers because, by putting both leaders on the same level, they elevate the challenger. But in federal election campaigns both leaders receive saturation media coverage, so that argument is less relevant. Debates, in my view, offer an advantage to the better debater, and if the wormology offered by the last several televised debates teaches us anything, it is that the leader with the most positive messages scores best. Kevin Rudd promised in 2007 that there would be three debates in the 2010 campaign, although he later prevaricated about whether the health debate he had with Tony Abbott earlier this year constituted one of these three. Gillard reneged on the promise. She won the debate at the end of the first week of the campaign, although most observers thought it a rather dreary occasion. Then, as the campaign proceeded, Labor became more desperate, and was keen to debate Abbott on the economy. 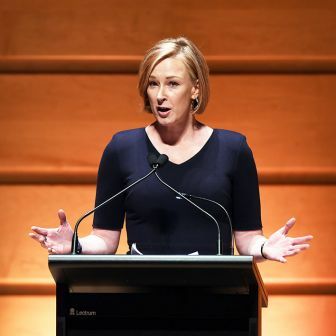 The to-ing and fro-ing over whether the leaders would have a second debate might have helped Labor very slightly – though it also showed its desperation – but it was also another ingredient in the general tone of sterility that ran through the campaign. Partly as a substitute, both leaders participated in community forums. Among these, and the speeches to the National Press Club, the party campaign launches and the debate, the only occasion on which Abbott clearly out-performed Gillard was the first community forum at Rooty Hill. He was helped by the fact that he appeared second: having had a chance to see how remote Gillard looked sitting on the stage, he opted to stand on the same level as the audience. This advantage for Abbott was neutralised at the second community forum when both leaders stood at audience level. Three formal debates would have exposed Abbott’s lack of positive policy content and his limited grasp of detail. It would have given Gillard the opportunity to showcase the positive aspects of the government’s record in a way that was otherwise more difficult. It was typical of Labor that it threw away this potential advantage in the name of clever campaigning. When Gillard became leader there was a flurry of activity designed to address Labor’s perceived political vulnerabilities. A deal was struck on the mining tax. The announcement of an off-shore processing facility in East Timor gave the appearance of action on boat people. And more attempted quick fixes would follow during the election campaign. Each was partially effective, but each also came unstuck to varying degrees. The mining tax was largely neutralised as a live issue during the campaign. But Labor had deliberately misled the public on the scale of its retreat by changing the assumptions in the revenue modelling, and inevitably this trickery became public. Moreover, although Labor had taken the heat out of the issue and getting some kudos for talking directly with the biggest mining companies, a large part of the constituency that opposed any tax increase remained unreconciled. Labor was caught in a bind by the hysteria surrounding boat people. 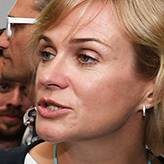 As part of the attempt to defuse the issue, it sought to reintroduce the kind of offshore processing that the Howard Government had carried out on Nauru, and made the dramatic announcement that it would do so in East Timor. Unfortunately for Labor, this agreement was soon thrown into doubt by the East Timorese parliament, and so it remained an issue through the campaign. Abbott used asylum seekers as a centrepiece of his campaign, promising to phone the prime minister of Nauru the day after the Coalition took office, and to keep in personal touch with navy boats off northwestern Australia. The lesson: it is probably impossible for Labor to outbid the Liberals in an auction on xenophobic policies. Labor was caught in a bind of its own making on global warming. It had alienated many of its supporters with its surrender on the issue, but at the same time was afraid of a scare campaign by the Liberals if it did anything that involved any cost to anyone. But it was not clear it could go for five weeks without saying anything at all about the issue. The “solution” – apart from promising there would be no carbon tax in the coming term – was to announce a citizens’ assembly to discuss the issue. This was surreal Julia. Probably nothing Labor did in the campaign attracted greater ridicule. During the campaign Gillard also announced a series of almost random measures, such as a plan to give top teachers annual bonus payments. The unintentional theme binding these disparate initiatives together – a theme that applies to both parties’ campaigns – is a shallowness of policy substance and a belief that fiddling with surface appearances will be sufficient to dispose of embarrassments. 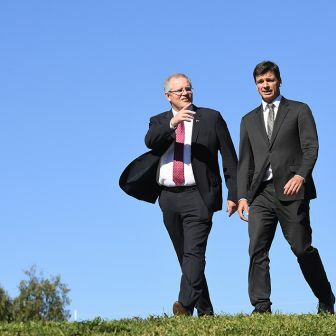 There was one promise that seemed to epitomise Labor’s cynicism and its counter-productive political “feel” – the promise to build the Epping–Parramatta rail link in the suburbs of Sydney. In itself, the idea has merit. The problem is that it was first promised by a former NSW premier, Bob Carr, twelve years ago. 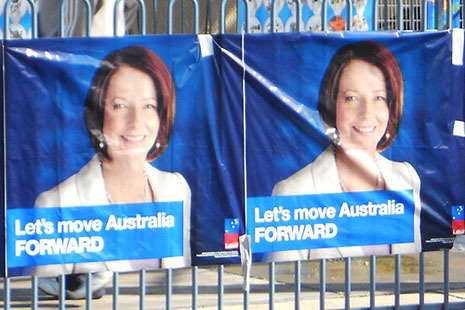 When Gillard and the current premier, Kristina Kenneally, appeared together to make the announcement the effect was to tie federal Labor more closely to the political disaster that is the NSW Labor government. In electorates resentful of the lack of public transport it primed feelings of antagonism. No announcement could have more effectively embodied Labor’s lack of delivery on its promises. In the following days, Labor’s cynicism was again on display. Information emerged that the decision had been rushed, that the bureaucracy knew little about it, and that it contradicted planning inside the state government. The most convincing testimony to its counter-productive contribution was the fact that the Liberals used the promise in their election material as evidence that Labor could not be trusted and did not deliver. Rarely, if at all, has one side’s promise featured directly in the other’s advertising. Although many people expected an election-eve swing back towards the government, the Liberals finished the campaign with energy and momentum. After strong performances early in the week at the National Press Club and at the Brisbane community forum, and after a superhuman effort over the previous five weeks, Gillard ran out of steam in the last couple of days. She seemed tired, even irritable, and reduced to parroting a few key phrases over and over. In particular she charged that Abbott would reintroduce Work Choices – which by that stage was probably not considered a credible claim by many people. In contrast, although it was a fairly transparent gimmick, Abbott’s decision to stay awake and active for the thirty-six hours leading up to election day generated a lot of positive publicity, and especially good photos and TV footage. With polls showing that a majority of respondents expected Labor to win, some party strategists began to worry that voters were not taking the prospect of an Abbott victory seriously enough. Their response was to leak internal polling showing that Labor was doing much worse than in the published polls (which, given the eventual result, throws their accuracy into question). The main impact of the leaks was to add to a narrative of a Labor decline and a Liberal surge. Perhaps they made some voters concentrate more on the negatives of a possible Liberal win, but even more they reinforced the image of a disintegrating government. Even this last desperate Labor tactic probably did more harm than good. Mia Wasikowska and Josh Hutcherson in Lisa Cholodenko’s The Kids Are All Right.